If you write a lot of e-mails, you will be happy about the many small, practical helpers with which ReplyButler saves you time. I would like to introduce five of them today. One of the most important features of ReplyButler is that he immediately writes the addressing and the greeting formula for you when answering. Language, name, gender and style are automatically detected. As banal as this feature may sound, it’s really incredibly practical and you don’t want to miss it. The work is usually not done by sending the answer. Because the original e-mail still has to be moved. ReplyButler supports flexible rules and can automatically sort the e-mail. For example, depending on the sender or keywords (such as product names) in certain folders. If you upload another file for the recipient in parallel, the e-mail should not be sent immediately, otherwise the recipient would receive an invalid link. ReplyButler can automatically delay the sending by 10 minutes if certain keywords appear in the text. Such subjects are unprofessional and distract from the actual content. ReplyButler knows RE-texts, anti-virus and spam checks in many languages and removes them automatically. How easy it is to just click on reply instead of answering to everyone. ReplyButler recognizes this and warns you immediately. These and many other features make working with Outlook easier and faster. A must for all those who answer a lot of e-mails. Test ReplyButler for Outlook today. 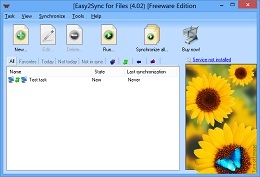 The new version 8.00 of our Outlook synchronization software Easy2Sync for Outlook is now available. Now it’s possible1 to sync the Outlook calendar with the Google calendar. 1) This is not a guaranteed feature. If Google should decide to turn it off or charge for it, we have to do the same. The new version of our logo design software is available. The update fixes a small problem which could happen during the export of a company logo as word template which could happen in combination with Microsoft Office 2007. Other export options (like Bitmap, screen saver, etc.) were not affected. More info about the software and an overview of the included free logo templates can be found on the logo design page. 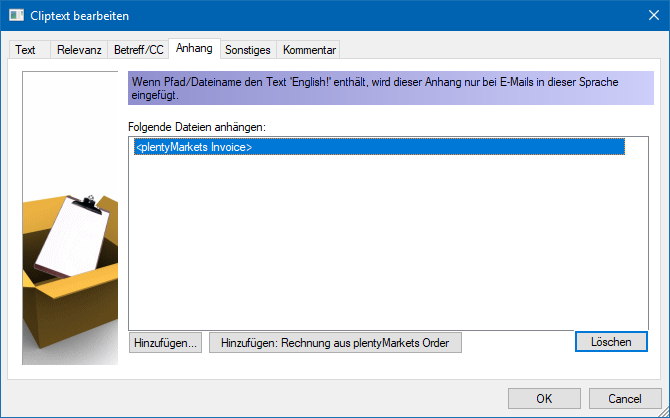 The new version 3.00 of our Outlook text module software “ReplyButler” is out. And it include important new features. Cliptexts can now automatically be inserted when they’re relevant. This allows you to answer e-mails automatically. This works great, especially for topics where certain works (e.g. error codes) always ask for a certain answer. All you have to do is to enable the “insert automatically” feature for the cliptext. Insert the text module in the right language. So the e-mail was answered is ready to send even before you typed a single character. Apart from that, the version now supports Outlook 2010 (32-bit) and has the “Send later” Option to send the mail on the next working day at 9:00 am. More info about ReplyButler and the ready-made boilerplate texts for Outlook can be found here. I will take some more time until Windows 7 is published. Of course we couldn’t wait that long and tried the current beta version from Microsoft. The pleasing result: All our programs are already compatible with Windows 7.